Valentine’s Day is right around the corner, so naturally there are diamond ads on TV, specials on long-stemmed roses, and boxes of chocolate everywhere! If you’re trying to figure out what to do for valentines day, avoid some of the obvious cliches and pull together an unforgettable night for someone you love! 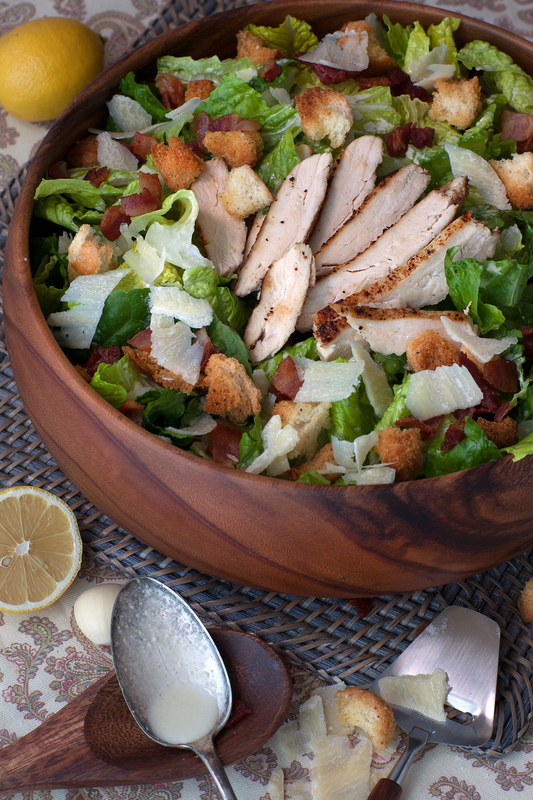 We’re going to teach you how to make a romantic dinner that won’t overwhelm you! It’s even good enough to turn those people who claim they hate Valentine’s day into hopeless, mushy romantics. Ready? OK! First, we’re going to start with some basics to teach you how to make dinner without making a mess of your kitchen and your clothes. We’ll break it down for you and teach you how to cook a romantic meal in just a few easy steps. Prep in advance. Chefs call this mise en place, which means “everything in place.” Cut your veggies, season your meat, and even make bread or dessert in advance. Just store all your prepped food in little bowls in the fridge until you’re ready to go. Consider a 1-pot meal. You’ll have less cleanup later, your house will smell amazing, and you’ll have time to do other important things, like shower. Set the table in advance. Use pretty dishes. Trust us, you don’t want to be rushing around at the last second. Light some candles. Do what you’re comfortable with. You’re creating a special night. You don’t want your date to show up and find you frazzled because the souffle you’ve never made before won’t rise or the suckling pig isn’t done. With those simple tips, a little kitchen know how, the right tools, and some foolproof, delightful recipes for how to cook a romantic meal, we promise you, you’re going to have a blast. 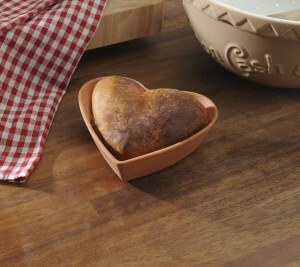 I love serving warm bread with dinner, and our Heart Shaped Mason Cash Tear and Share make it as romantic as it is delicious. We’ve got a big tear and share if you’re cooking for a crowd (say, Valentine’s Day for a family) or a little one that’s the perfect size for two. The nice thing about bread baking is you can get it done in advance (even a couple days before) and just throw it in the oven at the last minute. Plus, the Tear and Share bread forms come with some truly delicious recipes. Of course, if you’re super busy and need to cook a romantic meal quickly, you could even get pizza dough at the store, roll it into balls (stuff with cheese and sauce for extra points) and just bake that. Even less mess, and just as delicious. And nothing says “welcome, I love you” like fresh, hot bread! Second, throw together an entree that’s easy, delicious, and beautiful. It doesn’t have to be complicated. Personally, I think Lady and the Tramp got it right. 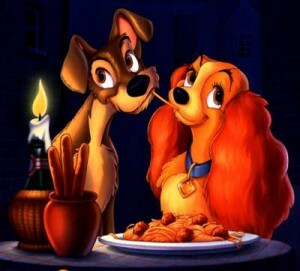 It can be as simple as spaghetti, but if you’re with the right person, it’s perfect. So whip out a big salad bowl (I love serving spaghetti in the Acaciaware Deep bowl) and a set of pasta servers, and go to town. If you need a recipe for swoon-worthy meatballs, scroll on down to the bottom of this page. Serve with your favorite pasta sauce and some extra long spaghetti! Of course, one can’t live on spaghetti alone, so it’s worth serving a side salad, or maybe some grilled vegetables. 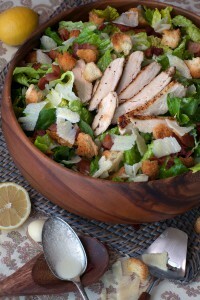 I’m partial to a classic Caesar salad (chicken is absolutely optional) with my spaghetti. It reminds me of old movies and just feels (and tastes) classic and romantic! And isn’t that what you’re going for on Valentine’s day? Of course, bread, salad, and a beautiful spaghetti and meatballs are just one person’s interpretation of a classic, unforgettable romantic meal for Valentine’s day. But seriously, it’s the simple, intimate meals that are responsible for creating tender memories; consider classic recipes, done perfectly. To all the ladies out there trying to figure out what to get a guy for Valentine’s day: skip the lines, cook a nice dinner. To all the guys: women love a man who can cook. To all the couples: Try cooking dinner together. It’s a great way to have fun and unwind, especially if you take a moment to open a bottle of wine and toast to your mutual awesomeness while cooking. And now, without further ado, that meatball recipe I promised you. I opt for a beef meatball, since I love the way it stays moist, and the way it stands up to a flavorful tomato sauce (see our blog post here if you want to make your own tomato sauce.) You can use whatever protein you’d like. Pork, sausage, turkey and even chicken work pretty well. 4 cloves garlic, pressed or minced. Instructions – Can be made a day in advance, saving you a mess on Valentine’s Day. Throw all the meatball ingredients in a bowl. Ideally a Mason Cash bowl that you chilled in the freezer for 10 minutes. With your hands (they really are the best tool) mix all the ingredients until they’re well combined. 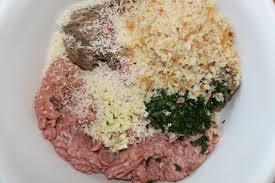 be careful to mix rather than squish things to get perfectly fluffy, most meatballs and not crumbly meatloaf. Once everything is combined, shape into balls You shouldn’t be pressing them together hard, just rolling them between your hands until they’re barely holding together. We’re going for meatballs, not meatloaf. This mixture makes 12 golf-ball sized meatballs or more small ones. I suggest doing small meatballs for a romantic meal. They’re easier to eat (one biters always are) and they’re darn cute. Plus you’re making this ahead (right?) so you don’t need to worry about rushing. Just store them in a covered casserole dish in the fridge til you’re ready to use them. When it’s time to cook, Make some sauce (or buy a bottle of really good quality sauce, if you must.) And heat a large saucepan over medium heat. Add a few tablespoons of vegetable oil to the pan, let it heat and coat the pan, then add the meatballs in a single layer. Let cook for 4 minutes before turning. Let cook an additional 4 minutes, then add the tomato sauce to the saucepan. Simmer for about 20 minutes, which, coincidentally enough, is time enough to boil water and make pasta. Add the pasta to your serving bowl, with the sauce, tossing to combine. Top with meatballs, a sprinkling of fresh grated Parmesan (avoid the green can, please!) and a sprinkle of basil. Serve with that amazing warm bread and a salad you made (but didn’t dress) before even starting to cook and you’re good to go! Have a happy Valentine’s Day! This entry was posted on Sunday, February 2nd, 2014 at 3:10 pm and is filed under Acaciaware, Canning, General, holiday, Mason Cash, Pacific Merchants, Recipes. You can follow any responses to this entry through the RSS 2.0 feed. Both comments and pings are currently closed. Kick off holiday mornings with a healthy hearty breakfast! From Bruce – there’s only one way to make a truly great margarita! © 2019 Pacific Merchants Trading Company. All Rights Reserved.